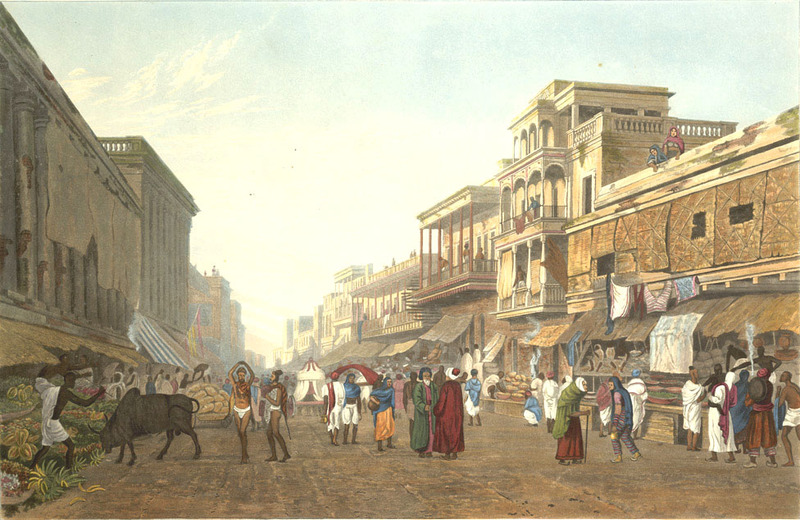 The retail sector was divided mainly between the modern firms based on the British model of the partnership company and the bazaar firms where the traditional Indian trade practices being followed, disregarding the overwhelming developmental trend of modern retailing trade in the port city of Calcutta. The bazaar sector of the city’s markets includes small scale trade. 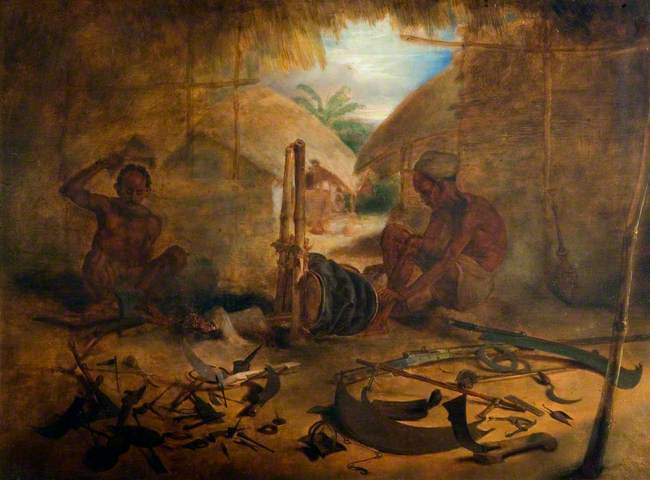 There was a large-scale involvement of the native population in this sector. Nearly a third of the inhabitants of Calcutta are engaged in manufactures, and nearly a fourth in trade, while personal service accounts for a sixth. Assuming that a man does not begin to work until fifteen years of age, it would appear that no less than 96 per cent, of the males above that age are actual workers ; the corresponding proportion in the case of women is only 32. The industrial population is most numerous in the areas of Colootolla, Moocheepara, Jorasanko, Bhawanipur, Intally, and Beniapukur. Jorasanko, Burra Bazar, and Jorabagan wards have the greatest number of persons engaged in business of commerce. The professional element is strongest in Burtolha in the north, and in Bhawanipur in the south of the city. Calcutta itself contains but few factories, only three jute-mills and two jute-presses lying within its limits. In the outskirts of the city, however, several smaller industrial concerns are situated, including 63 oil-mills chiefly worked by cattle, 24 flour-mills, 2 rice-mills, 16 iron foundries, and 12 tanneries, which employ less than 13,000 persons all told. The chief home industries are pottery and brasswork. Calcutta exports little of its own manufactures. 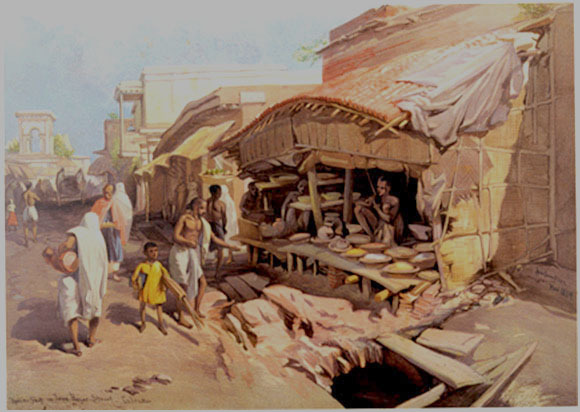 Calcutta came into existence as a trading town, because its position enabled merchants to tap the rich tratific of the valley of the Ganges. The luxurious courts of the Mughal rulers had fostered the manufacture at Dacca and Murshidabad of beautiful silks and muslins, which were eagerly bought up in Europe. 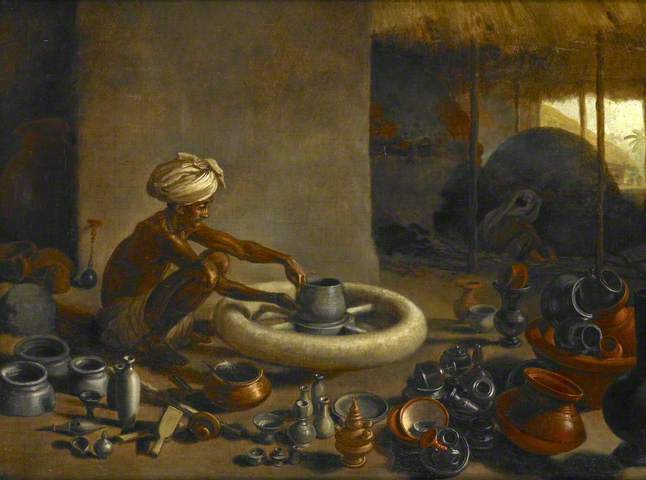 The saltpetre of Bihar was in great demand in England for the manufacture of gunpowder during the French wars; and rice, sesame oil, cotton cloths, sugar, clarified butter, lac, pepper, ginger, myrabolans, and tassar silk werealso in request. Bengal produced all these articles, and Calcutta was the only seaport from which they could be exported. In respect of internal trade, the principal articles which make up the imports to Calcutta are :—from Bengal, raw and manufactured jute, rice coal, linseed, opium, tea, grain and pulses, hides and skins, silk, and indigo ; from the United Provinces, opium, oilseeds, grain and pulses, hides and skins, and wrought brass ; from Assam, tea, oilseeds, grain and pulses, and lime. 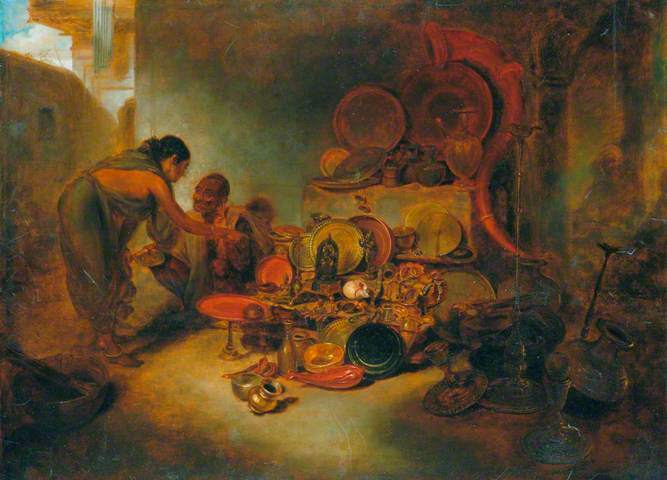 In 1901-2 the imports from Bengal were valued at nearly 49 crores.